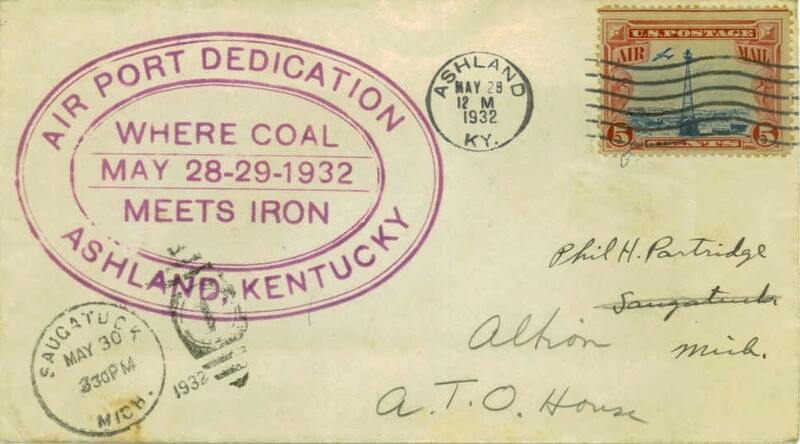 The Postmaster established a postal sub-station at the Aero Military Tournament (November 3-5, 1911) held on the Kentucky State Fair Grounds. 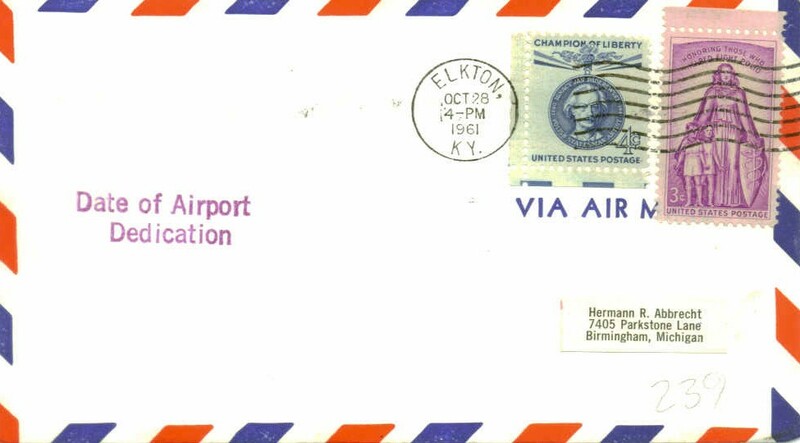 Aviator Clifford Turpin flew mail circling above the fair grounds dropping it from the plane for car delivery to the post office. 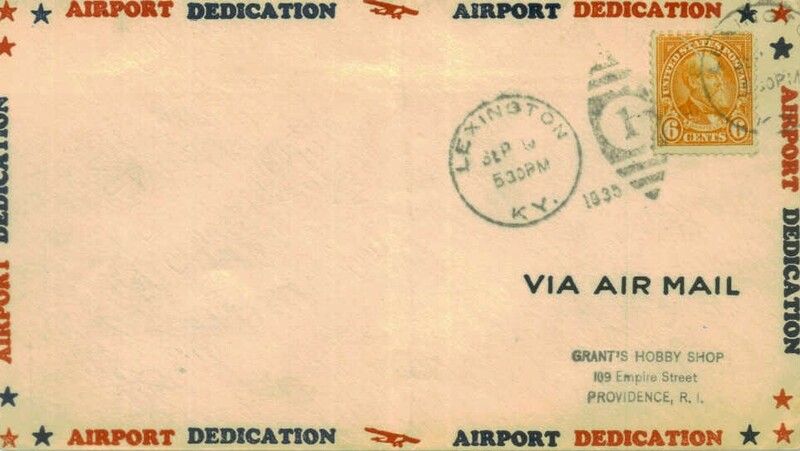 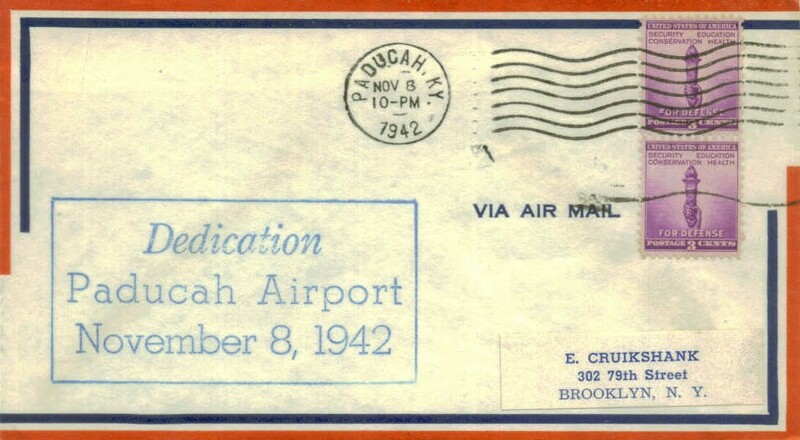 Postmaster WR Smith of Lexington KY established a postal sub-station on the grounds of the Race Track Lexington KY. On June 13, 1912 aviator Paul Peck planned to fly from the Race Track about fifteen miles to Winchester KY. During this aviation meet the weather was so bad that no distance flights took place. 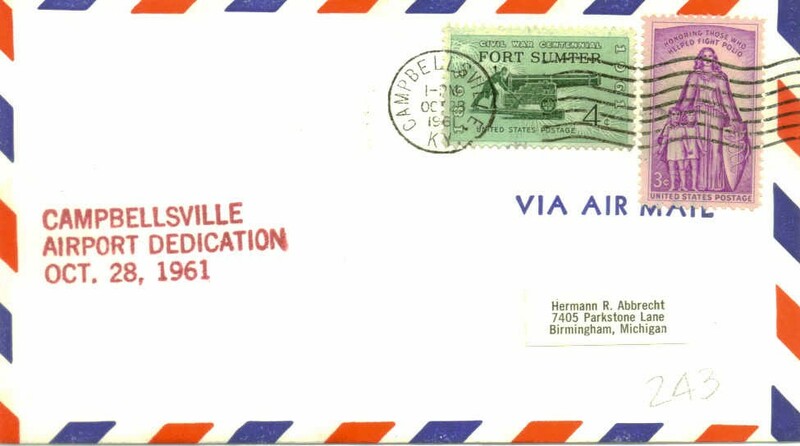 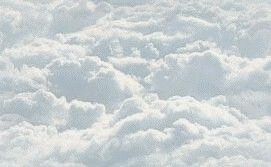 All of the prepared mail was then sent on its way, unflown. 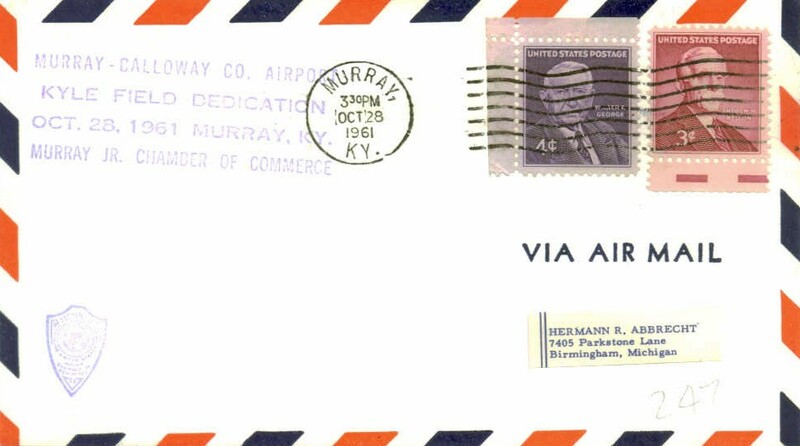 The Postmaster of Providence KY established a postal sub-station at the fair grounds Providence KY. On July 27, 1912 aviator Horace Kearney (aka Peck's Bad Boy of the Air) flew from the fair grounds to a point near the post office where the mail pouch was dropped from the plane. 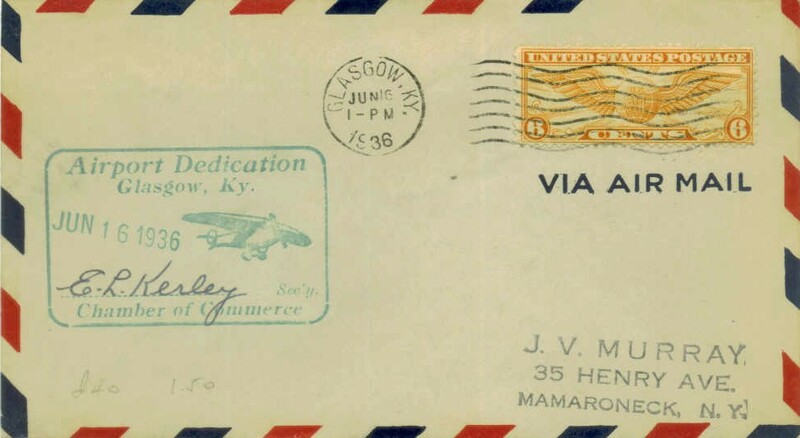 The mail was then retrieved and brought to the post office. 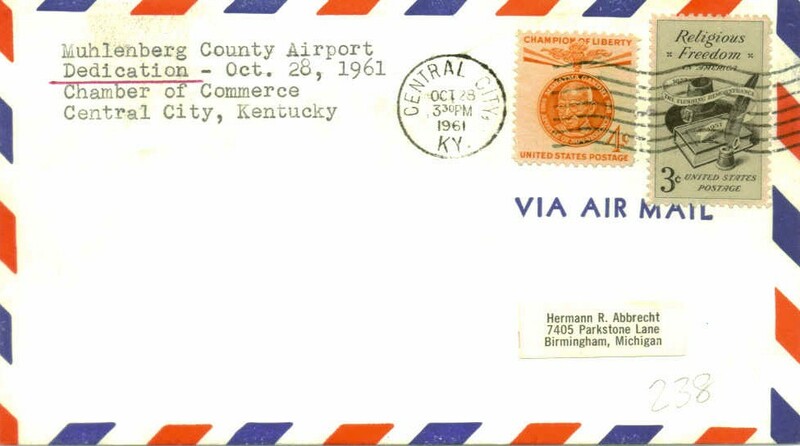 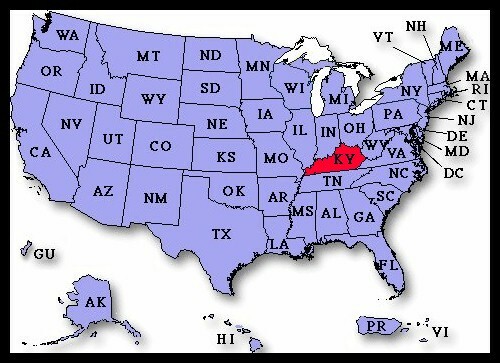 Abandoned & Little-Known Airfields in Kentucky.